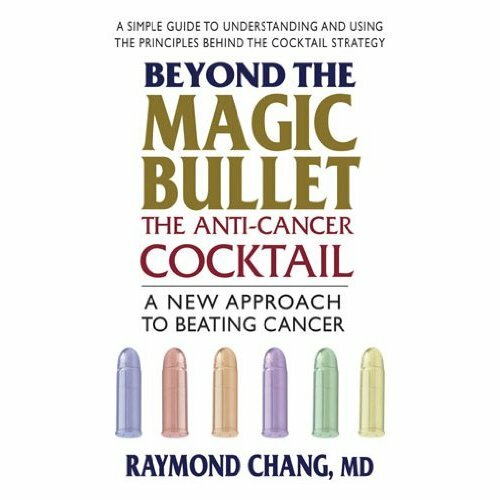 The topic at hand is admittedly more ambitious than the book itself: with the larger goal of advancing a better strategy for implementing more optimal cancer treatments as well as to address the range of conventional and unconventional cancer treatments currently at hand. Also, the book itself obviously will not satisfy the range of readers from those who have cancer themselves to professionals who have to deal with the disease everyday and everyone in between. There was also quite a bit of material which was left out, almost like bonus materials or deleted scenes of a film, that maybe of interest to some. Plus topics that need more in-depth explanation or exploration, and not to mention controversial points that deserves comments. Hence the need for annotations, discussions, and references as well as suggested reading lists, useful links and postings of any further insights on my part or input from patients and colleagues alike as these evolve. The blog is divided into two main parts. Firstly, the POSTS are my personal musings and insights, reverent and irreverent, from ongoing readings and news as well as eureka moments as they evolve on the topic of cancer and its treatments. Then there are the PAGES (to the right) which are further annotations, expansions, discussions with reference to topics or points raised in the book. The PAGES are organized to match the chapters of the book and are preceded by numbers which refer to the page numbers in the book. Feel free to leave comments, additions and feedbacks for the posts as well as the pages. The blogroll includes links to my practice website at Meridian Medical in New York, our research activities website at the non-profit Institute of East West Medicine site, the Asian anti-cancer herbal database site, which is a project of the Institute, and a dendritic cell vaccine informational site for those interested in the topic.